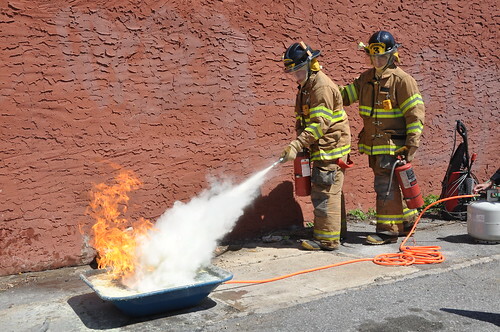 FF English & FF Sherman extinguish training fire. 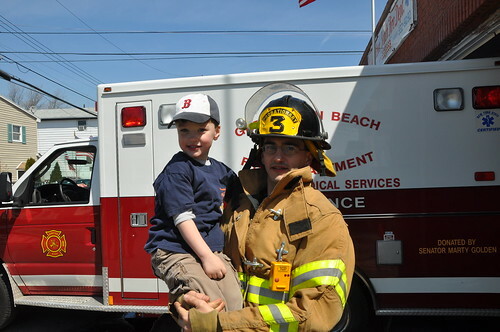 There was a festive atmosphere this past weekend at the Gerrittsen Beach Fire Department firehouse where Engine 1 and Ambulance 3 lined the street and firefighters welcomed visitors as part of a statewide initiative to attract volunteers to shrinking fire volunteer departments. 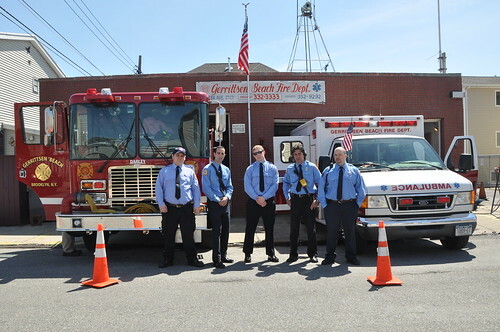 The Gerrittsen Beach Fire Department is the only volunteer fire department in Brooklyn participating in the recruitment drive initiated by the Firemen’s Association of the State of New York. Most visitors Saturday and Sunday were young girls and boys who came with their parents to look at the firetrucks. They were allowed to clamber in and out, chat with firefighters and watch demonstrations. By the end of the open house, a string of people had come and gone with a few serious volunteers. The department plans on having an open house again before the summer. Glad to see that the vollies are alive and well and going strong after all of these years. My late dad, Lee Jackson was a vollie who dedicate half of his years to keeping the ole pie wagon running and making sure that the Beach was safe. God Bless the men and women who carry on the tradition. What is the financial status of the vollies? How many fire & ems runs are they going on? Is everything peachy or dire straights? This month, our annual payment of $29,733.12 is due for the Community Fire Truck. Insurance payments of $29,000.00 are paid through the year for liability for the trucks and buildings. 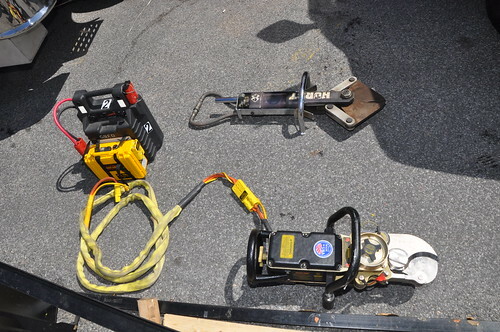 Supplies, equipment and operations run a costly $50,000.00 annually. These expenses cannot be paid without your help. To date a total of less than 20% of the total homes and businesses have been received. I have nothing but respect and admiration of the Vollies,I wish them well.When I lived in the Beach ,I always felt secure that the Vollies were around. We all pay for some kind of insurance to protect our selves and our property be it life insurance, homeowners insurance, car insurance etc. etc. Why not write out a check for $100 and send it to the GBFD and consider it insurance on your life and property. For me that’s a small price to pay for something we all hope we never need.